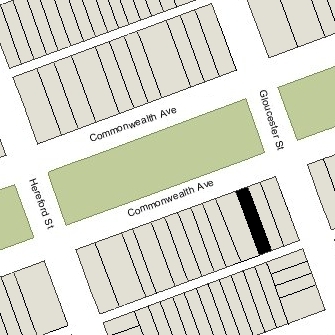 288 Commonwealth is located on the south side of Commonwealth, between Gloucester and Hereford, with 286 Commonwealth to the east and 290 Commonwealth to the west. 288 Commonwealth was designed by architect Samuel D. Kelley and built ca. 1880 for building contractor William Seavey Rand, one of two contiguous houses (286-288 Commonwealth) he built for the Boylston National Bank of Boston, owner of the land, for speculative sale. Click her for an index to the deeds for 288 Commonwealth. After the houses were completed, the bank continued to hold the property until a buyer was found. On May 12, 1883, it sold 288 Commonwealth to William S. Rand and he sold it on the same day to Emma (Walker) Batcheller, the wife of boot and shoe manufacturer Alfred Hubbard Batcheller. By the 1883-1884 winter season, Alfred and Emma Batcheller had made 288 Commonwealth their home. They previously had lived at the Hotel Berkeley (southeast corner of Berkeley and Boylston). They continued to live at 288 Commonwealth in 1889, but by 1890 had moved to the Hotel Ludlow (southwest corner of Clarendon and St. James). 288 Commonwealth was not listed in the 1890 Blue Book. On September 26, 1890, 288 Commonwealth was purchased from Emma Batcheller by Sibyl T. (Gilman) Blume, the wife of Andreas Blume. By the 1890-1891 winter season, the Blumes had made 288 Commonwealth their home. They previously had lived at 7 Yarmouth. Andreas Blume was an attorney and had served as a city councilman from 1883 to 1887 and as a member of the State House of Representatives in 1888 and 1889. The Blumes divorced in 1893 and Andreas Blume moved to 20 Newbury. Sibyl Blume also moved from 288 Commonwealth and in August of 1894 she married again, to Henry Staples Potter. He was a canned food and cereal manufacturer, producing products under the name “Old Grist Mill.” They moved to 82 Commonwealth. Sibyl Potter continued to own 288 Commonwealth and lease it to others. By the 1893-1894 winter season, 288 Commonwealth was the home of Rev. John Cuckson and his wife, Sarah M. (Evans) Cuckson. They previously had lived in an apartment at 290 Commonwealth. He was minister at the Arlington Street Church. They continued to live at 288 Commonwealth until about 1899, when they moved to an apartment at 483 Beacon. During the 1899-1900 winter season, 288 Commonwealth was the home of Mr. and Mrs. John W. Stewart. On May 16, 1900, 288 Commonwealth was purchased from Sibyl Potter by James P. Stearns, president of the National Shawmut Bank. On May 31, 1900, it was acquired from him by Andreas Blume. Although both deeds were dated in 1900, they were not recorded until May 26, 1908, and Sibyl Potter remained the assessed owner through 1909. In August of 1900, Andreas Blume married again, to Mrs. Elizabeth (Lizzie) A. (Leighton) Toppan, a widow. 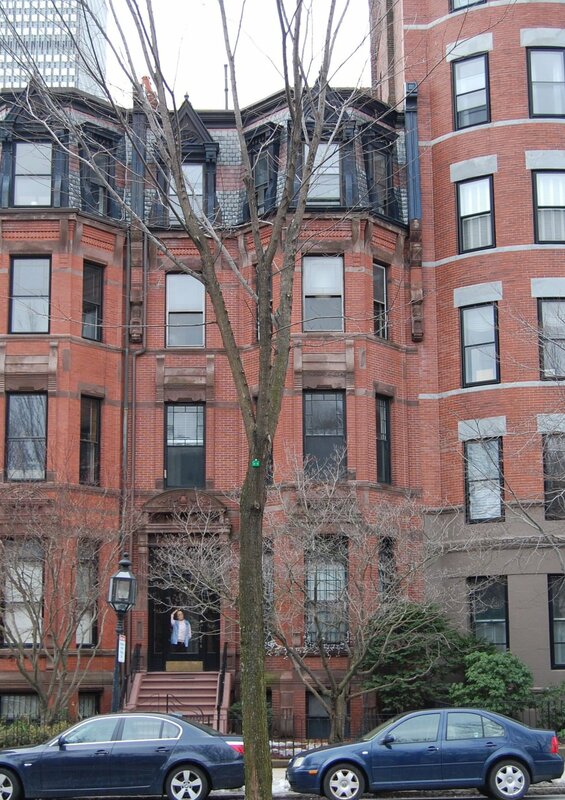 He had continued to live at 20 Newbury, but after his marriage, they moved to 288 Commonwealth. The Blumes also maintained a home, Blumen-Field, overlooking New Found Lake in East Hebron, New Hampshire. Andreas Blume died in August of 1917. Lizzie Blume continued to live at 288 Commonwealth during the 1921-1922 winter season, but moved thereafter to the Hotel Tudor (northwest corner of Beacon and Joy). On November 20, 1922, 288 Commonwealth was purchased from the estate of Andreas Blume by Mary (Minnie) Elizabeth (McClatchie) Cairns, the wife of James Emberson Cairns, a blacksmith. They made it their home and operated it as a lodging house. They previously had lived at 214 Newbury. 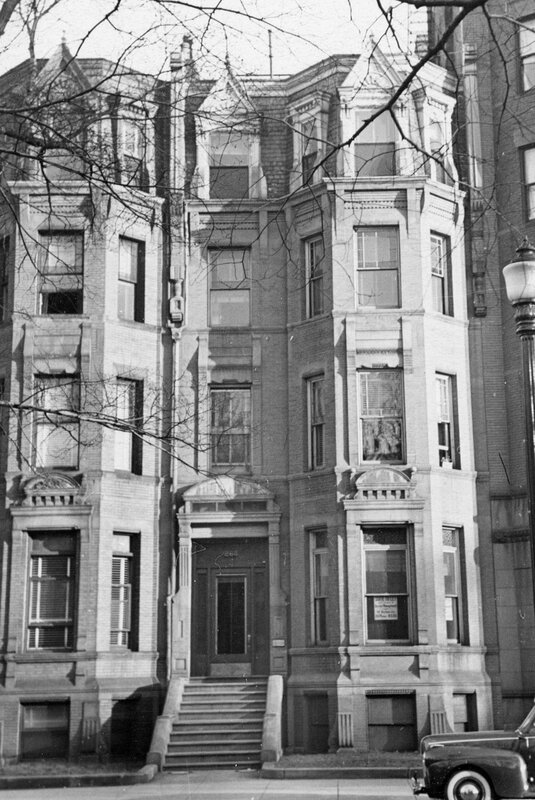 On February 1, 1935, the Franklin Savings Bank of the City of Boston foreclosed on its mortgage to the Cairnses and took possession of the property. James and Minnie Cairns continued to live there until her death in January of 1936. On March 15, 1938, the Franklin Savings Bank transferred 288 Commonwealth and a number of other properties it had acquired through foreclosure to Charles S. Kimball. On the same day, he entered into a mortgage with the bank secured by all of the properties, and then transferred them to the Boston Management Corporation, a real estate management firm. In April of 1938, the Franklin Savings Bank (although it no longer was the owner) applied for (and subsequently received) permission to convert 288 Commonwealth from a single-family dwelling into five apartments. On September 27, 1943, the Boston Management Corporation transferred 288 Commonwealth and a number of other properties back to the Franklin Savings Bank. 288 Commonwealth changed hands and in November of 1948 was acquired by Elizabeth Clara (Marshall) Dieter, the wife of Dean Chapman Dieter. He was a real estate broker and they lived in one of the five apartments. They previously had lived at 536 Commonwealth. Dean Dieter died in July of 1975. Elizabeth Dieter continued to live at 288 Commonwealth in 1981 and probably until her death in October of 1990. On August 27, 1991, Habiba Tambunan and Beatrix Tambunan, an author of children’s books, purchased 288 Commonwealth from the estate of Elizabeth M. Dieter. On June 30, 2000, Beatrix Tambunan transferred her interest in the property to Habiba Tambunan, and on February 25, 2015, he transferred the property to the Tambunan Realty LLC. On July 10, 2015, 288 Commonwealth was purchased from Tambunian Realty by the 288 Commonwealth LLC (Matthew Piccione, manager of record). In September of 2016, it received approval to remodel the property and reduce the number of units from five to two. On February 2, 2017, 288 Commonwealth was purchased from the 288 Commonwealth LLC by the Black Wolf Special Opportunities LLC (David M. Ferris, manager of record). In May of 2017, it received approval to increase the number of units from two to three. On November 30, 2018, it converted the property into three condominium units, the 288 Commonwealth Avenue Condominium.